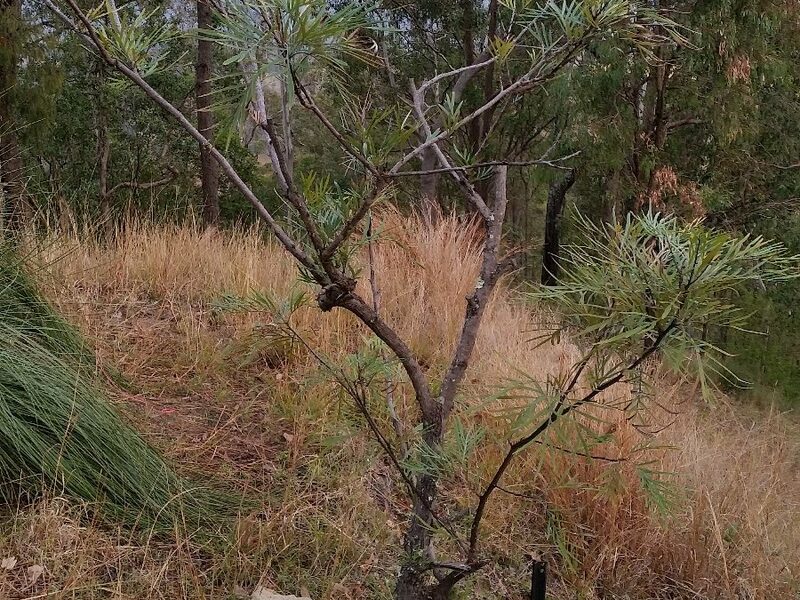 We found them to the west of the house on The Point, and within a fairly close proximity to Gary the Grevillea. 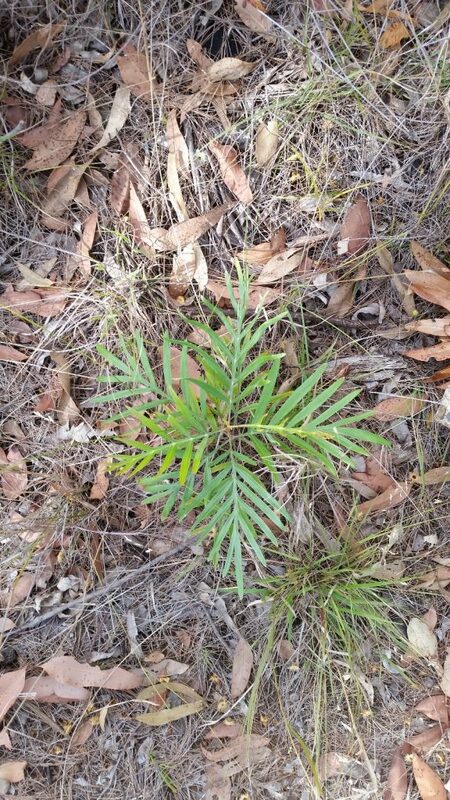 It is our assumption that these Grevilleas are progeny of Gary the Grevillea as it is the only Grevillea within any sort of distance of the pop-ups, and Grevilleas do no naturally occur here at Arborlon. 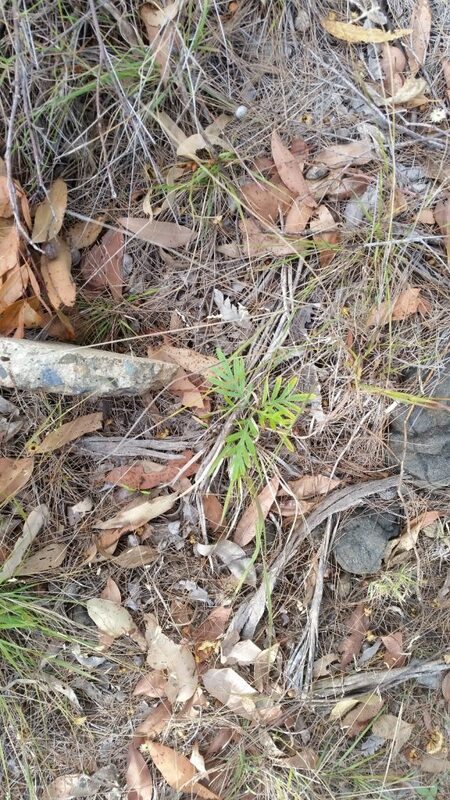 The two plants pictured below were found growing well in the dry and rocky soil of the Point. We will keep an eye on them and once strong enough we will transplant them to a pots or a more appropriate part of the Garden. 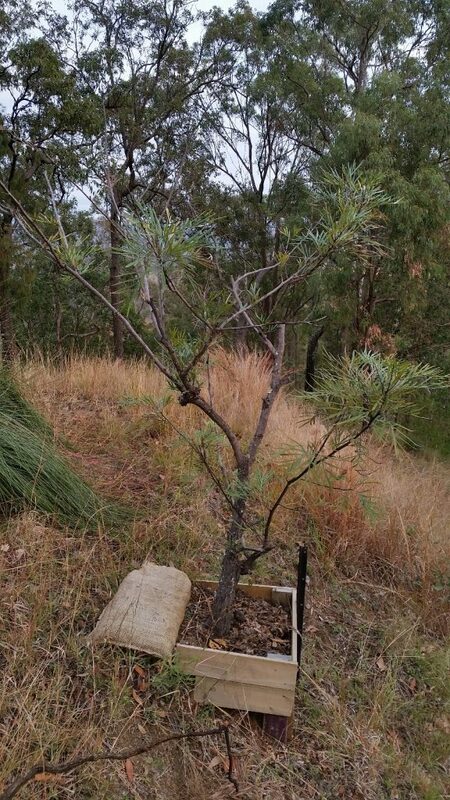 One of the trees we found on the property when we first took possession was an old and very unwell Grevillea. It was impossible to tell what species it was as the tree had almost no foliage and had been pruned(hacked!) badly at some point.